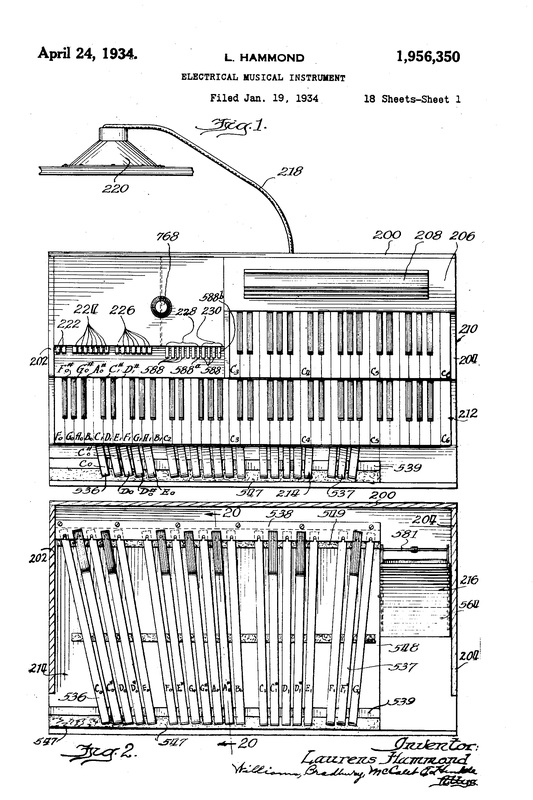 When U.S. Patent 1,956,350 was issued to Laurens Hammond on April 24, 1934, for an “electrical musical instrument,” the world of music changed forever. My first organ was a Hammond. My Aunt Vina, my school, my church and just about everyone else I knew who had an organ, had a Hammond organ. Do you know who got the very first Hammond organ every made? George Gershwin. Henry Ford was a fan, too. He purchased six of them. Hammond organs have been played by major artists such as Count Basie, Fats Waller, Jimmy Smith, Booker T Jones, Gregg Allman, and many, many more, and are still played today by artists and enthusiasts everywhere. Laurens “Larry” Hammond didn’t start out to invent an organ. He wasn’t even a musician. He was an inventor. I, for one, am glad he followed his dreams so that we could follow our dreams and make music happen.